A stock aircraft called Catalina. Built with 170 of the finest parts, its root part is Mark1Cockpit. Twin engine seaplane modeled after the https://en.wikipedia.org/wiki/Consolidated_PBY_Catalina . It is capable of transporting 7 Kerbals. Max speed is 165 m/s at low altitude and 145 m/s at 5k. 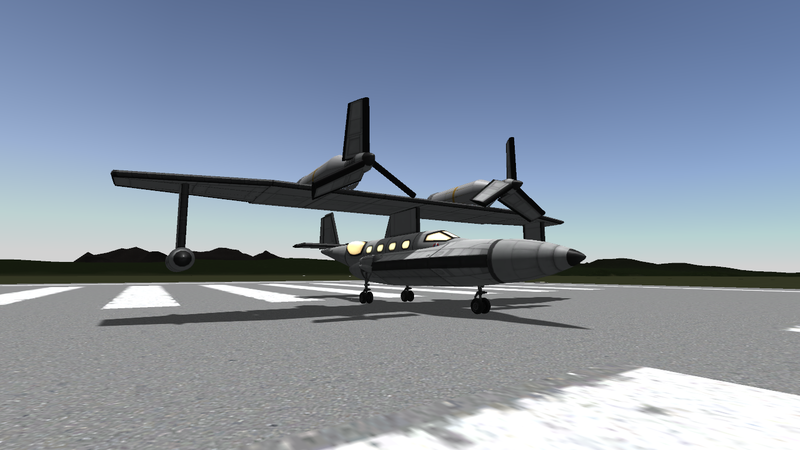 - at about 80 m/s switch to the each of the propellers and press 1 to toggle the blade pitch. - also try not to damage rotor blades. - after the plane is out of the water and at the safe altitude, switch to the each rotor and press 1 to toggle the blade pitch to cruise configuration.